By 1942, production was scheduled to end, and the aging Bf 110 was supposed to be replaced by the new Messerschmitt Me 210. 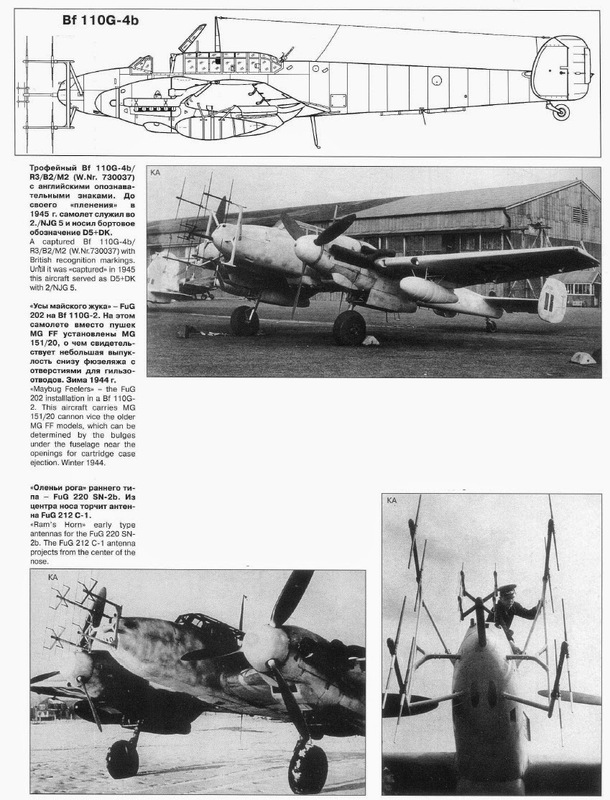 The failure of the latter led to the Bf 110 being reinstated (G version) and modified well beyond its original design. Though out-dated in 1943, the Bf 110 G was built in larger numbers than all other versions combined. The type found its true niche in the defensive role in which its heavy armament, long range, and ability to carry airborne radar made the Bf 110 useful again. Away from opposition fighters, its destroyer capabilities could work once more. Mainly used as night fighter, the improved G version was powered by two 1,475-hp Daimler-Benz DB B engines, and fitted with flame dampers on the exhausts. Mounting Lichtenstein radar, heavy MG 151 oblique-firing Schräge Musik guns (and eventually 21-cm rocket tubes), the Bf 110 achieved remarkable successes as much as a night fighter as day interceptor. 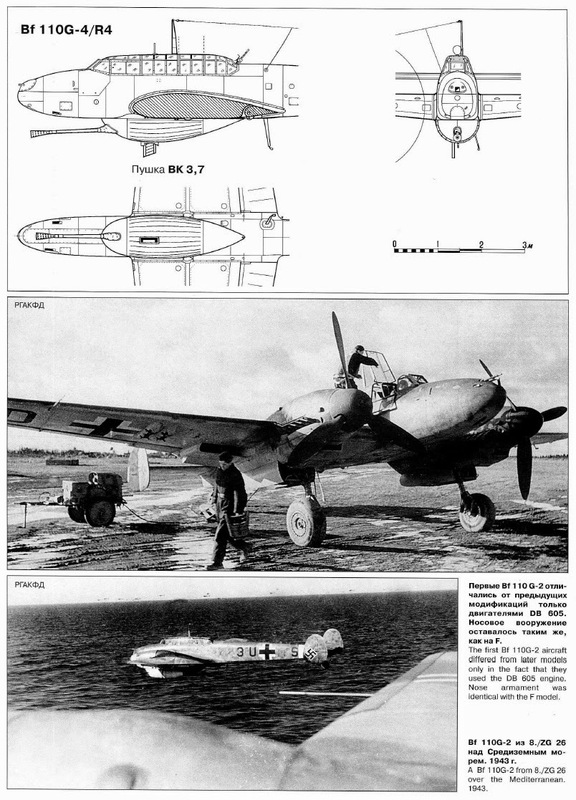 The Bf 110 would be the backbone of the Nachtjagdgeschwader throughout the war. The first units undertook defence operations over Germany as early as the autumn of 1940. Opposition was light until 1942, when British heavy bombers started to appear. One of the most notable actions of the Bf 110 occurred on the night of the 17/18 August 1943. Bf 110 units had been mass equipped with the Schräge Musik system, an emplacement of two upward-firing cannon, mounted almost midway down the cockpit canopy behind the pilot, which could attack the blind spot of RAF Bomber Command's Avro Lancaster bombers, which lacked a ventral turret. Using this, NJG 5's Leutnant Peter Erhardt destroyed four bombers in 30 minutes. Despite excellent visibility, none of the RAF bombers had reported anything unusual that would indicate a new weapon or tactics in the German night fighter force. This ignorance was compounded by the tracerless ammunition used by the Bf 110s, as well as firing on the British bombers blind spots. Many RAF crews witnessed a sudden explosion of a friendly aircraft, but assumed, in some cases, it was very accurate flak. Few of the German fighters were seen, let alone fired on. In September 1943, Arthur Harris, convinced a strategic bombing campaign against Germany's cities would force a German collapse, pressed for further mass attacks. While RAF Bomber Command destroyed Hannover's city centre and 86% of crews dropped their bombs within 5 km (3 mi) of the aiming point, losses were severe. The Ruhr Area was the prime target for British bombers in 1943, and German defences inflicted a considerable loss rate. The Bf 110 had a hand in the destruction of some 2,751 RAF bombers in 1943, along with German flak and other night fighters. Later, the RAF developed a radar countermeasure; Window, to confuse German defences and introduced de Havilland Mosquitos to fly feints and divert the Bf 110s and other night fighter forces from their true target, which worked, initially. 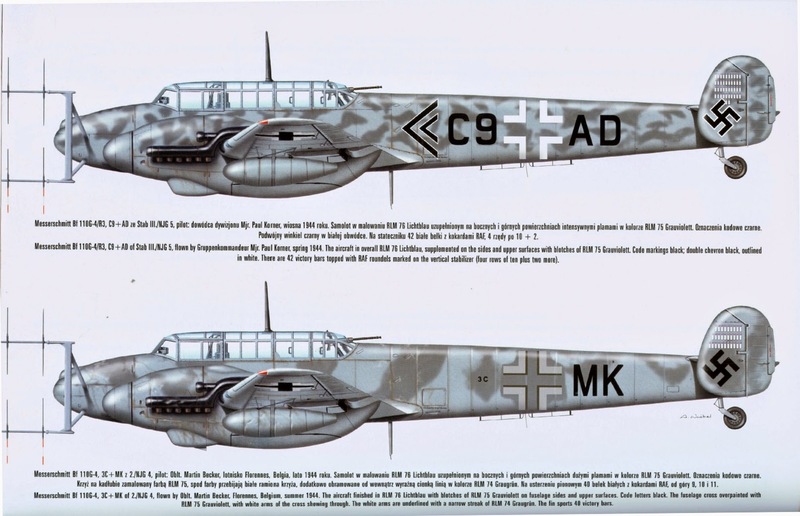 At this time, the Bf 110 remained the backbone of the fight-force, although it was now being reinforced by the Junkers Ju 88. In October 1943, General Josef Kammhuber reported the climbing attrition rate as "unacceptable", and urged Hermann Göring to stop committing the German night fighters to daylight operations. Many Nachtjagdgeschwader had taken part in costly daylight battles of attrition. From June-August, it had increased from around 2% to 9.8%. 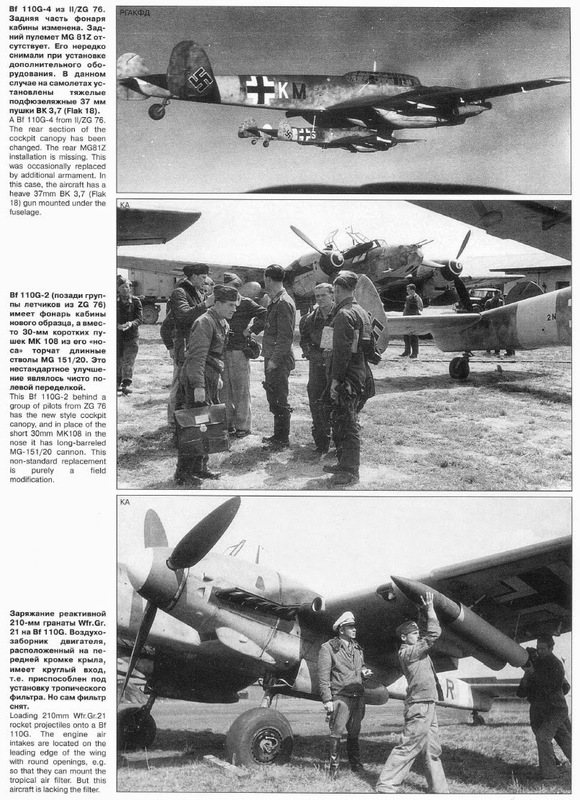 However the fortunes for the mostly Bf 110 equipped force turned during late August/September 1943. The night fighter arm claimed the destruction of 123 out of some 1,179 bombers over Hamburg on one night; a 7.2% loss rate. During the Battle of Berlin, 1,128 bombers were lost in five months. RAF Bomber Command had "nearly burned out". These losses were primarily a result of fighter defences, at the heart of which was the Bf 110. The German defences had won a victory which prevented deep penetration raids for a time. But Luftwaffe losses were high; 15% of crews were killed in the first three months of 1944. Pilots reported the Bf 110G to be a "mixed bag" in the air, in part due to all changes between the G and F series. 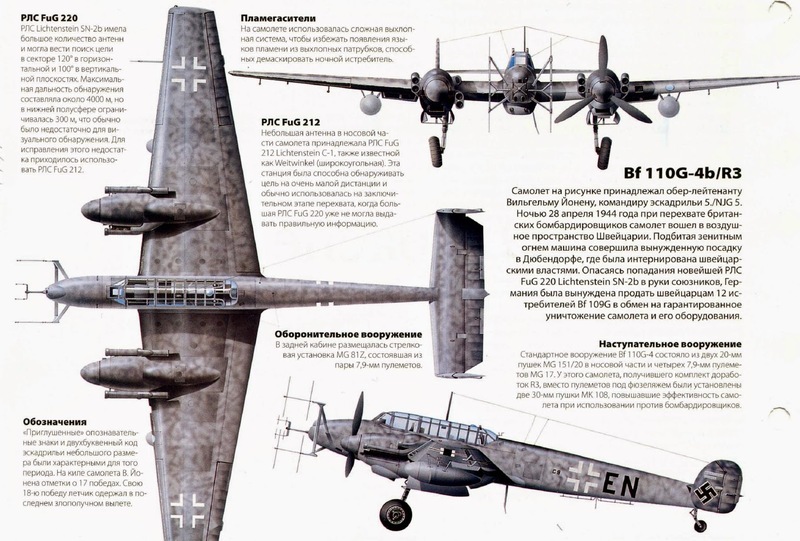 However the Bf 110G was considered a superior gun platform with excellent all-around visibility, and considered, until the advent of the Heinkel He 219, the best of the Luftwaffe night fighters. Fighter-bomber, fast bomber, destroyer, often used against Allied heavy bombers. (often equipped with rockets). Three-crew night fighter, FuG 202/220 Lichtenstein radar, optional Schräge Musik, usually mounted midway down the cockpit with the cannon muzzles barely protruding above the canopy glazing.